The startups which have participated in Google’s Campus Madrid have created 2.354 jobs and raised over 37.5 million euros in financing since it began in 2015, according to the company’s annual report on this project. The report highlights that in 2016, the startups in Campus Madrid created 1.085 jobs and raised over 20.7 million euros in funding, an average of 100.000 euros for every startup in residence. In the same vein, it flags that Campus Madrid was consolidated last year as “a place of reference within the entrepreneur ecosystem”, as is reflected by the fact it has provided more than 1,300 events free and 300 hours of mentoring since it opened its doors in June 2015. “Spain, a country full of talent, culture and optimism, is rapidly becoming an international meeting place for startups and innovative projects. Campus is one of the meeting points for entrepreneurs in Madrid,” the company says. Thanks to “an attractive work space, an interesting offer of programmes and to the community’s dynamism,” Campus has become “the perfect place” for entrepreneurs to get together and work on their projects. 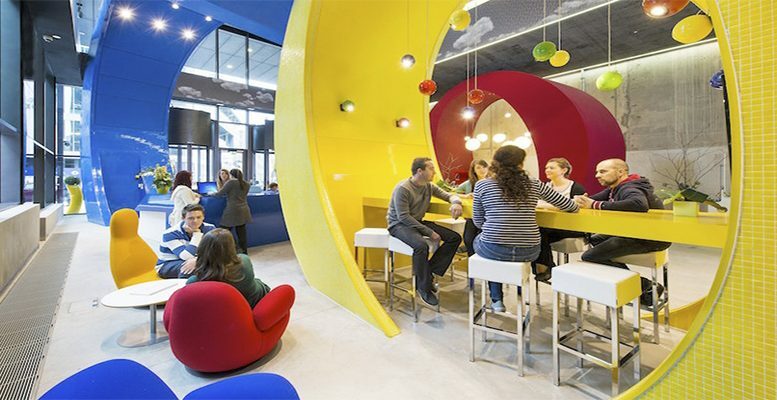 Google’s Campuses are spaces where entrepreneurs can learn, make contacts and set up companies which change the world. Campus Madrid is part of an international network which includes Campus Tel Aviv, Campus Seoul, Campus Warsaw, Campus São Paulo, Campus London and, soon, Campus Berlin. In this context, Google points out that the contribution from Madrid to the total jobs created by all the Campuses “is relevant”, given that as a whole, the six centres across the world have created over 11,000 jobs. It also says it has figures to show that over 240 startups in Campus Madrid are currently hiring new employees.